The Missionaries of the Poor have recently commenced a new mission in Timor Leste. Three MOP brothers, David, Elmer and Jimmy (Superior) arrived in Timor Leste in August 2015 under the guidance of Br Emmanuel Kagaba, the current Superior of the Flores Mission in Labuan Bajo. Invited by the local Bishop, their role in Timor Leste is to offer corporal and spiritual support to the many disadvantaged and destitute families in the Saburai area. 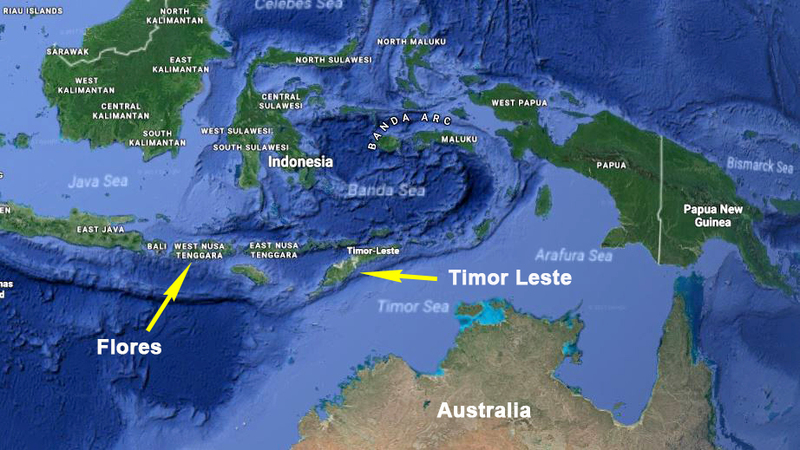 Br Emmanuel indicated to us that he has “never seen poverty such as that which occurs in this region of Timor Leste”. Their task was to set up a mission in Saburai County (12 km south of Maliana) to tend and support the many poor families there, and assist the leper population in the many small settlements in the county. The lepers live very isolated lives and in many cases their families have abandoned them in fear. The brothers are currently living in a rented house in Maliana and must travel from Maliana to Saburai for their work, and then further to the settlements at the far end of Saburai County where the lepers live. This 12 km trip from Maliana to Saburai is very steep and takes 30 minutes by motorcycle, and the houses with lepers takes up to two hours further by foot as it is very precipitous terrain. Another of their goals is to work with the local hospital in Maliana in implementing a treatment raceme for these isolated leper victims that currently cannot receive treatment for their debilitating condition. Initially, the brothers gave the local children in Saburai a Christmas party with gifts, the children’s first Christmas celebration, and the brothers have commenced a feeding program for the children. A bonus for the brothers was their recent purchase of two motorcycles, bought with funds provided by some generous friends in Australia. We will keep you posted with more updates from Saburai as we get them.